What has become of the second most popular squid sister? May 17th’s Nintendo Direct closed with an exciting Splatoon 2 trailer. Check out the charming teaser below. Splatoon 2 seems to be packed with the same charm the first game was beloved for. Just look at that hilarious conversation between the player and Marie! There’s a lot to digest here, but some new features, like grinding were also revealed. It will be interesting to see if players will be able to ride on inked rails in the multiplayer mode as well. 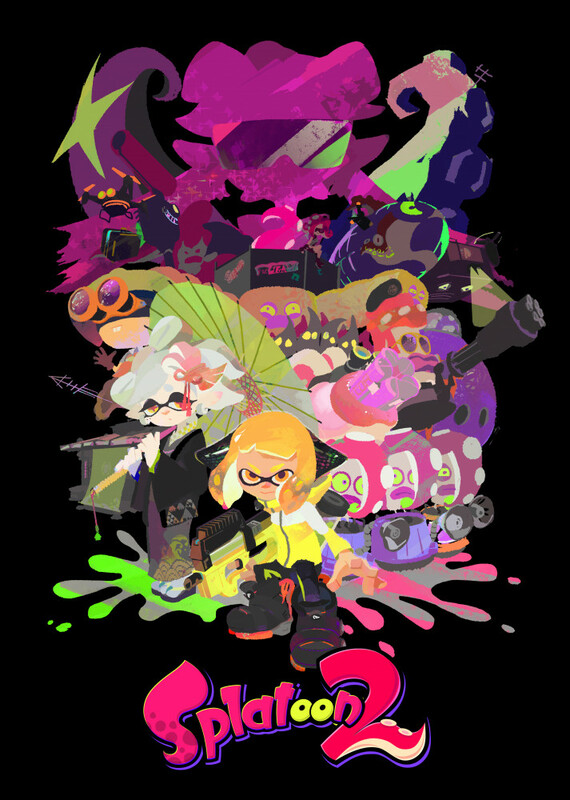 New official artwork was also revealed, featuring several prominent characters as well as a mysterious silhouette that many believe could be Callie. There’s a lot more Splatoon 2 content coming in the weeks and months ahead. At E3, a Splatoon 2 tournament will be held. We’ll have plenty of Splatoon 2 content coming your way as we anxiously await the game’s arrival on July 28th.